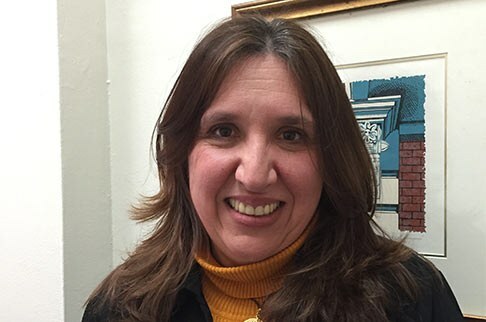 Latinas En Foco: An Interview with Arts Program Director Elsa Mosquera-Sterenberg | IBA Boston | Inquilinos Boricuas en Acción empowers and engages individuals and families to improve their lives through high-quality affordable housing, education, and arts programs. What was your journey to your position as the Arts Director at a non-profit? How did you decide you wanted to get involved with IBA? I started my professional career in a publishing house and from there I immersed myself in the cultural world. I’ve been involved with publishing for the past 20 years in different ways— I’ve published government books and magazines, then ran my own publishing company for 10 years. Being so immersed in the world of arts led to experience with non-profits. When I moved to Boston, I got my certificate in nonprofit management at Harvard and the opportunity to work at IBA came about at the perfect time. It’s a good match with everything I’ve done and the things I value. What is the most challenging part of being a woman in the ________ field? There are a lot of women involved with the mid-level arts. When you get into higher levels, though, you see that most executive leaders are men. For some reason, women have to prove themselves again and again. It’s still a man’s world — in every industry. I hope that it’s changing and that it gets better everyday for women. Can you talk about a woman in your field who inspires you? Women inspire me everyday, so this is hard. I love women presidents who lead countries. That makes me very proud. As hard as it is in every industry, politics is three times as hard. They really had to believe in themselves to get to where they are, and I find that so impressive. I especially admire the former President of Chile, Verónica Michelle Bachelet Jeria. I’m also very proud to be working in a women-led organization. Working with someone like Vanessa is incredibly uplifting. And then there’s Juile Burros, first woman in the arts to be part of the Boston Mayor’s cabinet, who I just love. All of these women give a path to younger women. What advice do you have for women who feel apprehensive about entering male-dominated fields? Just believe in what you bring and don’t feel beneath anyone. I’ve always had a good attitude about being a minority as a Latina, as a woman. I’ve never felt as though I’m less because of my identity. Just calling myself a minority doesn’t even make sense to me. I think conviction and passion will take you far in any field, especially in the arts. What challenges do you think women artists run into in Boston, and how does IBA work to support & empower Latina artists specifically? I mentioned previously how difficult is is for Latinos in this city, and obviously with women, everything is twice as hard. I put together a calendar called “Mujeres en Foco” spotlighting Latina artists in Boston. I’m going to try to dedicate our calendar to women artists because I was looking at my calendar and I realized how many more men I was bringing, but I wasn’t conscious of it. Women need more voices. Their issues are different than men and we need to give them the opportunity to present that. They have common issues as Latinas, but separate issues as women, and for Latina Women, Afro-Latina women, things are even worse. I want to increase female voices, I want IBA to be a venue that opens the door for those artists and to consciously bring more women to the Arts Program. Who is your dream artist to bring to IBA? I mean can you imagine presenting the movies of Salma Hayek? Imagine bringing JLo to Festival Betances! Or having a concert with Shakira! Not only have those women become icons, but they’re really using their artistic personas to do good, so I would love to bring them here.